- How to be a writer. So, for those of you who are interested, let's talk. Chika Unigwe (author of On Black Sisters Street) has been traditionally published and will be sharing more on that. 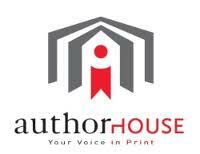 I will be sharing about my experiences of independent publishing (Authorhouse and Createspace) and what keeps me going. Do enjoy your weekend, and hope some of you can tune in. Mwah!